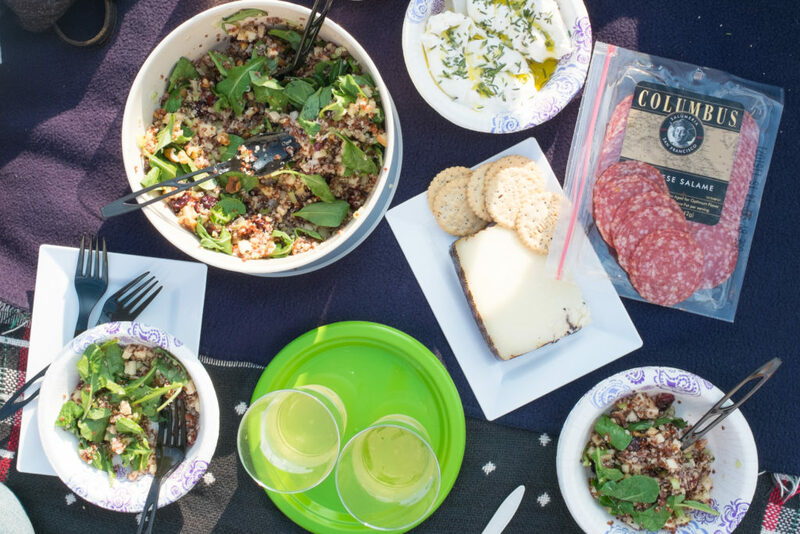 For 7 years and summers now Angelenos have been heading to the historic Barnsdall Art Park to sit on the lawn and enjoy a picnic paired with a few different wines from around the globe. 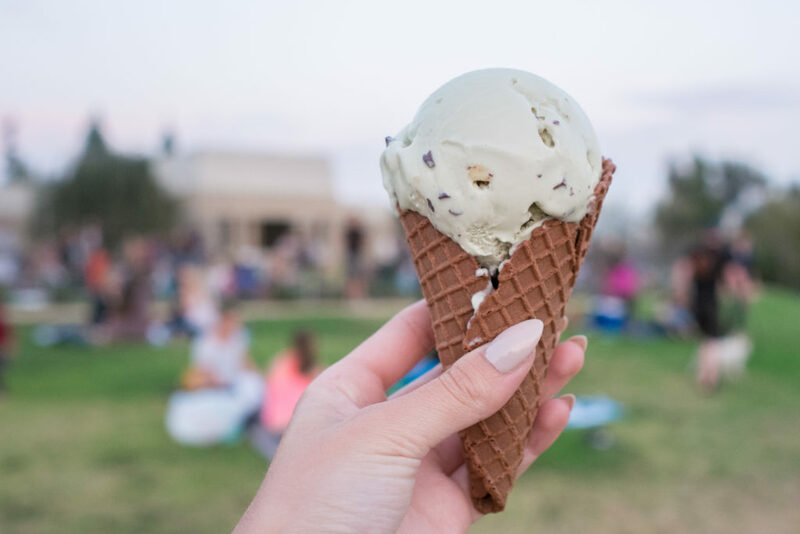 As far as the best things about summer in LA is concerned, for many locals the Friday Night Wine Tasting series is right up there with outdoor movie screenings. From June to September, every Friday night from 5:30 pm until sundown Silverlake Wine brings 4 different and delicious types of wine to try and sip on for $30 per person. 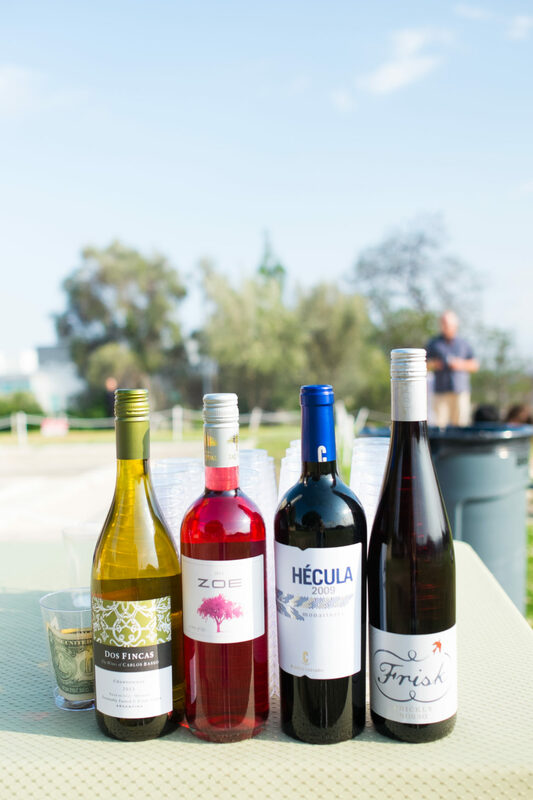 I have friends obsessed with this summer Friday night activity, so much so they’ve gone so far as to purchased Barnsdall memberships for access to all of the wine tasting events, so it was only a matter of time I experienced such a wonderful wine centric event myself. 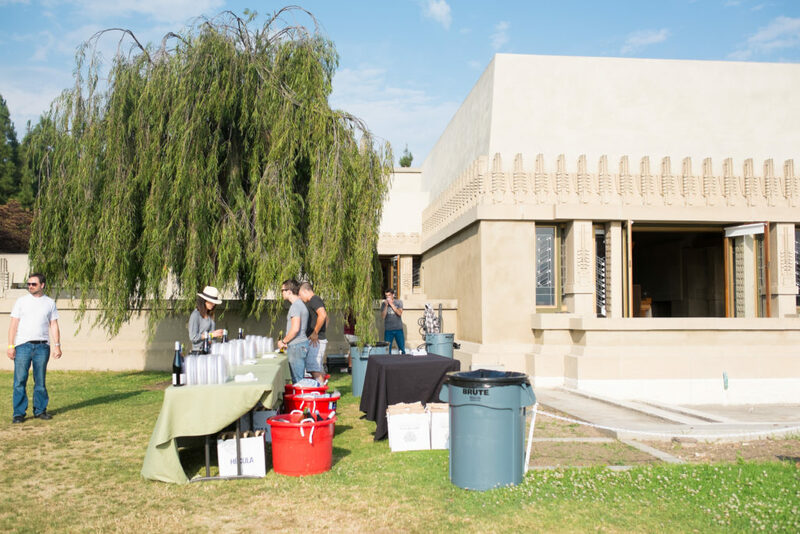 Plus, vever actually visited Barnsdall and the Hollyhock House, one of LA’s most historic places, the wine tasting series was actually a great way for me to kill two birds with one stone – drink wine and be in the presence of historic greatness. 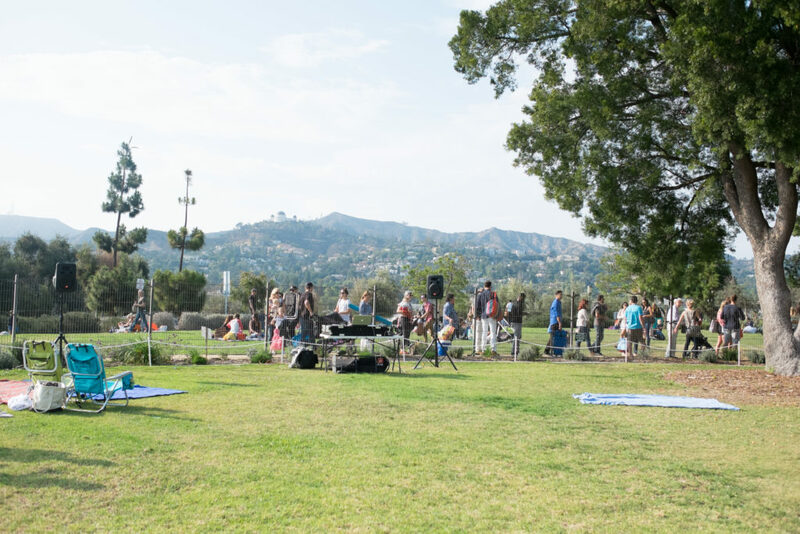 Besides great wine and an awesome opportunity to get friends together for a fun outing, Barnsdall provides an awesome backdrop, incredible views, great music, clean bathrooms (crucial), food trucks and more, and it’s all to keep some of LA’s history alive and well. I’ll definitely be back for a few more Fridays this summer, if you have any interest yourself check out the site and purchase tickets directly from HERE! Tip: Parking is free, but as with any good parking in LA the spots fill up quick! Get there early so you can get a spot in the lot and on the lawn for your picnicking purposes. 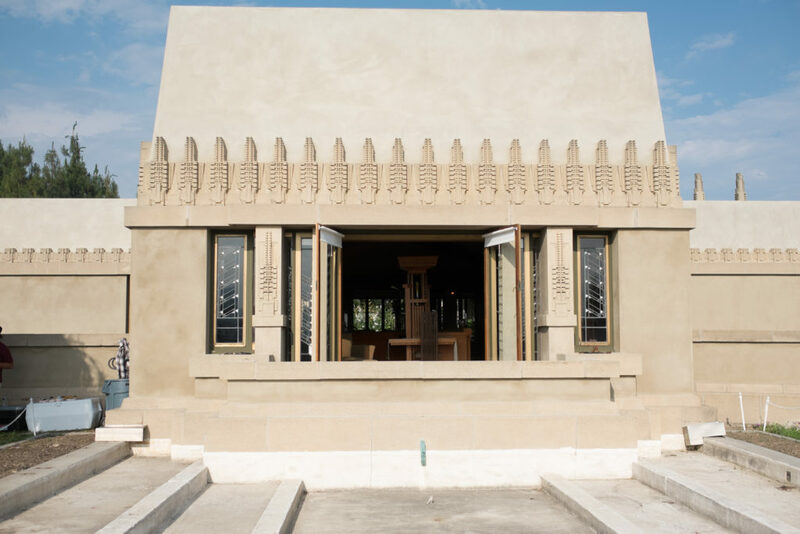 Bonus Tip: You can take a tour through the Hollyhock House while you’re there for an extra $12! Looks like you had a fabulous time! I never knew about this, but I’ll definitely have to check it out. Thanks!